Pipe expansion joints, also known as expansion compensators or bellows are used in pipe work applications where thermal expansion, movement and vibration could otherwise cause problems. They are made up from one or more convolutions which are designed to move or expand to relieve the stress from the solid pipe. The amount of movement or expansion within the application will determine the number and shape of convolutions required. 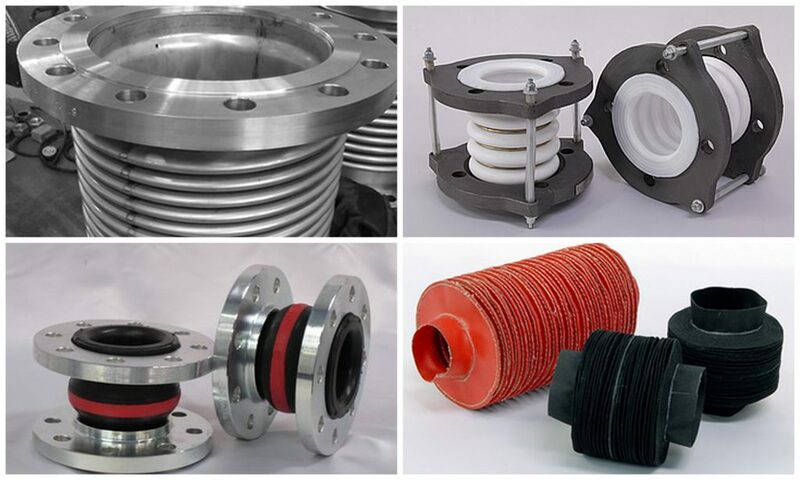 Expansion joints can be manufactured from a range of different materials such as Stainless Steel, PTFE and Rubber. This allows us to supply a product that suits almost every application. Also available are expansion joints manufactured from material, commonly known as sewn bellows, which are generally used as covers for moving parts such as hydraulic cylinder rods, protecting them from dust and other contaminants. Please click on individual products for more information.